San Francisco-based Waterfield Designs, one of our favorite accessory makers, has just announced a briefcase for the new 12-inch Apple MacBook. The Zip Briefcase is designed to enhance the thin, light features of the new MacBook. The Zip is lined with soft material and the internal pockets cradle the MacBook on one side and accessories on the other. On the front, there’s an angled pocket that holds a smartphone, wallet, or commuter pass. The briefcase is made from leather combined with waxed canvas or ballistic nylon, and it’s TSA-friendly. We’ll provide a full review of the Zip Briefcase in the coming weeks. Large, fitting up to a 17-inch laptop. The briefcase features a ballistic nylon or waxed canvas base with tanned leather accents, and has splash-proof zippers. 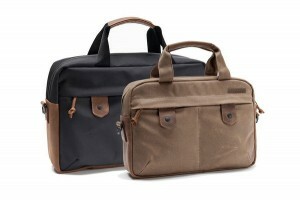 The Bolt Briefcase is available for a retail price of $249. 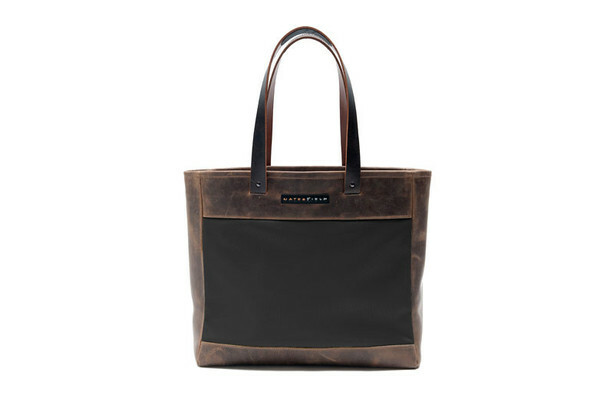 Another Waterfield bag we enjoy is the Franklin Tote. This versatile satchel, which was released in 2014, is constructed of full-grain leather and durable nylon in your choice of six colors. We love the fact that it has hidden no-slip shoulder grips in the straps, and comes with plenty of interior pockets. It’s perfect for beach or business, with a sophisticated look that complements the aesthetic beauty of the MacBook and iPad. Apple announced the new MacBook earlier this week. The 12-inch Mac notebook features all-day battery life and a size and weight that is currently unparalleled. 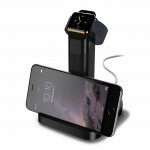 It weighs in at just 2 pounds, with a full-sized keyboard and an all-metal enclosure. The 12-inch MacBook Pro also is the first laptop to have Force Click technology. It will be released on April 10. 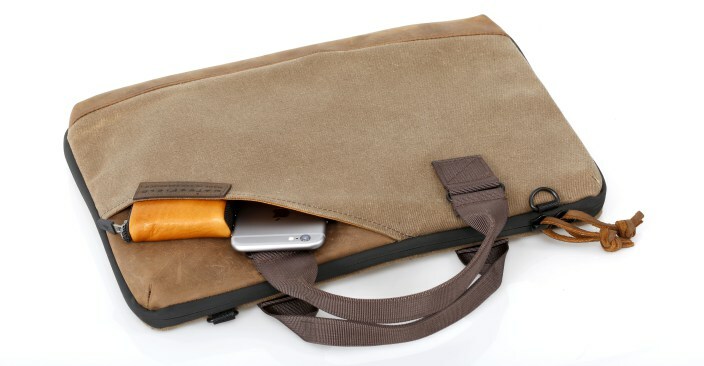 For even more of Waterfield Designs’ beautiful products, just go to their website.